by SuperScholar and Brain of the Year Award Laureate 2015-2016. Thabet is the Founder and President of SmartTips Consultants, President (Middle East and North Africa/MENA) of The Brain Trust Foundation, president of the World IQ Foundation, Vice President of the World Intelligence Network (WIN), Deputy Director of the Institute for Brain Chemistry and Human Nutrition and Vice Chancellor of The Gifted Academy. 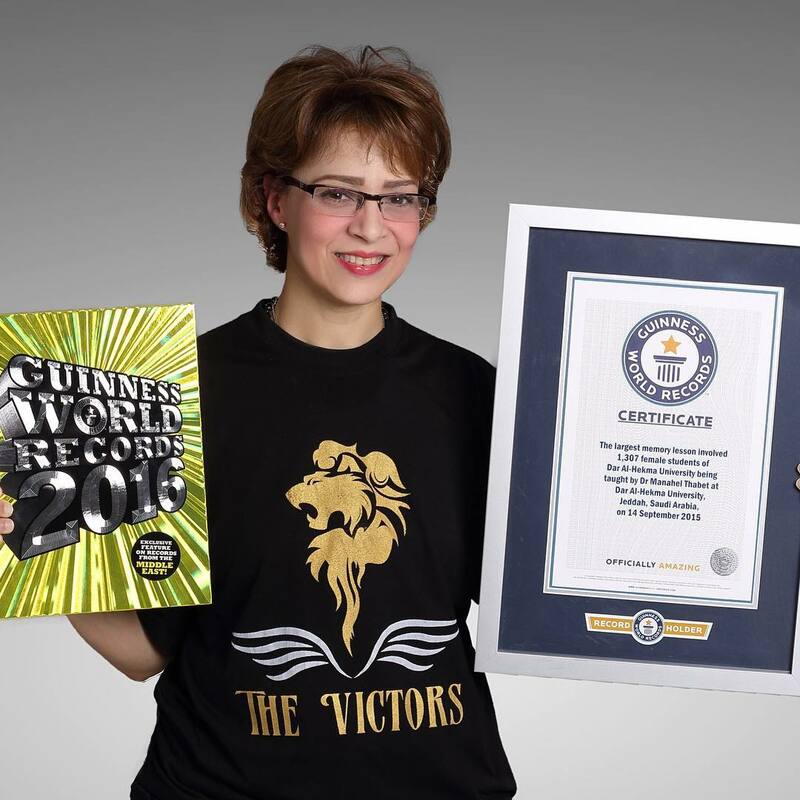 Manahel Thabet Ph.D. is ranked among the 30 Smartest people alive by SuperScholar, Genius of the Year 2013 by the World Genius Directory representing ASIA and Brain of the Year Award Winner 2015-2016. In 2014 she was selected the AVICENNA Award Laureate as a successor to Professor Tony Buzan given every year to those who present best practice in science, connecting East with West through science and knowledge. In 2015 Dr. Thabet broke a new Guinness World Record in 2015 in one of the most complicated teaching methods. In 2012 Dr Manahel was the Chairperson of the Scientific Committee, Recommendation Committee and Senior Adviser to the International Asia Pacific Giftedness Conference held in Dubai – UAE hosted by Hamdan Bin Rashid Awards for Distinguished Academic Performance. The conference hosted specialists from 42 countries, 320 papers and more than 2000 participants in the field of Talent and Gifted Education. Dr Thabet Partoned the Women’s Leadership MBA at Synergy University Dubai, served as GoodWill Ambassador for Eco International of Prince Albert II De Monaco Foundation. Dr Thabet is the President of IQuestion, member of Young Arab Leaders, judge for the Drones for Good Awards UAE (2015-2016), advisory board for In-Sight: Independent Interview-Based Journal, member of the International Association of Quantitative Finance (formerly International Association of Financial Engineers), editor of IQ section in magazine Synapsia and supervisor of the Arabian Intelligence Network. Manahel Thabet is also the winner of Middle East Achievement Awards in Science and was ranked among the 100 most powerful Women in the Middle East and most powerful 500 Arabs in the World by Arabian Business. Dr. Manahel is a Royal Grand Cross Officer of the Companionate of the White Swan and a Fellow of the Royal Society of Medicine in London, UK. In 2016 she was bestowed with the prestigious honor of Freedom of the City of London. Lately she was featured among the BBC most inspirational 100 women around the world.